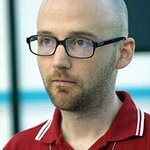 Musician Moby has announced that he will donate the profits from his upcoming shows in California to help those affected by domestic violence. Moby hopes to raise between $75,000 and $100,000 from three shows in San Diego, San Francisco and Los Angeles and donate the money to charities that help victims, following July’s decision to cut all funding for California’s domestic violence program. Moby was disgusted to hear of the ruling to cut the funding, and has witnessed domestic violence at its worst.